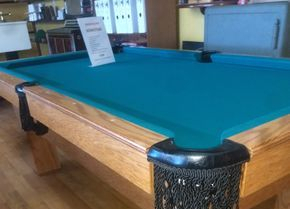 At Edison Billiard, we not only sell pool tables, we manufacture them. 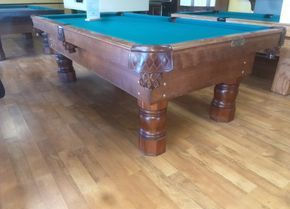 We've been manufacturing our own line of Pool Tables for over 50 years. Come into our showroom and have a look around. 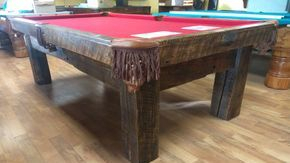 If you don't see anything you like we make custom tables too! If you can dream it, we can help make it a reality. Financing Available on all tables. *Some Tables shown above may not be immediately available or may be out of production for whatever reason. 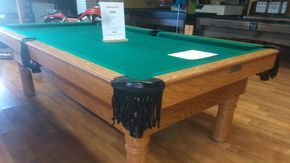 We here at Edison Billiard will try to supply comparable tables for you to choose from or build custom tables upon request. Sorry for any inconvenience.